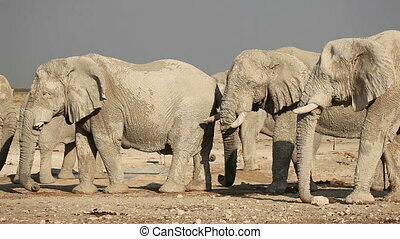 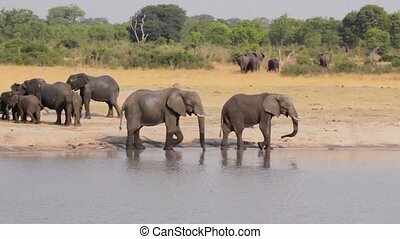 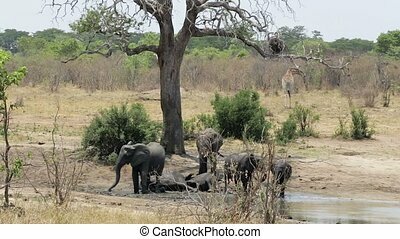 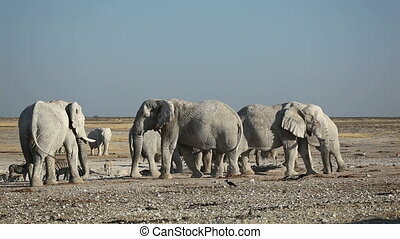 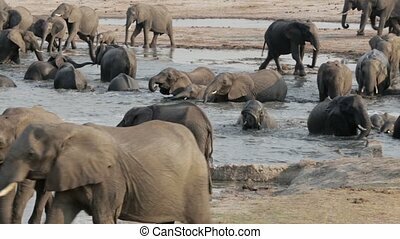 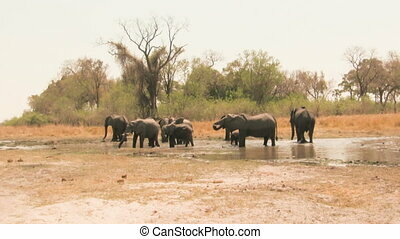 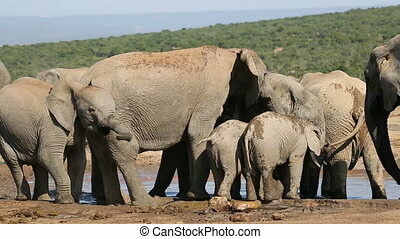 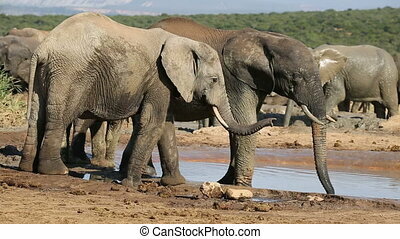 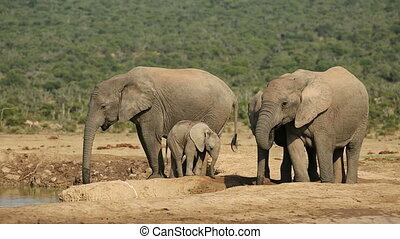 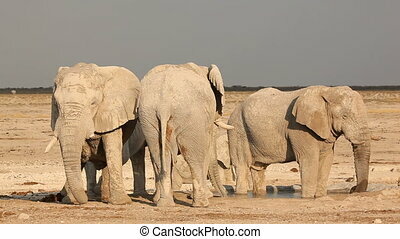 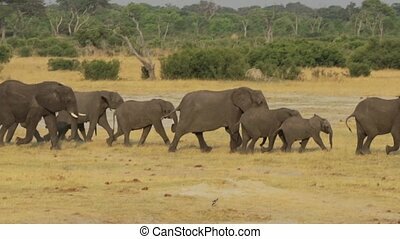 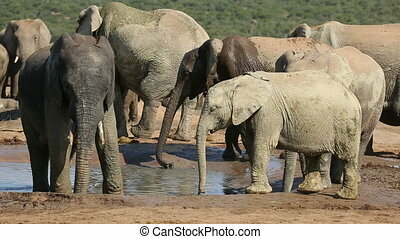 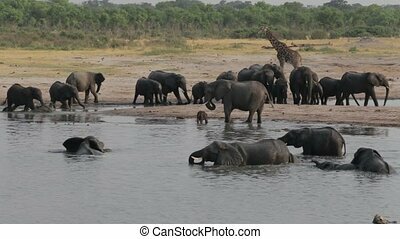 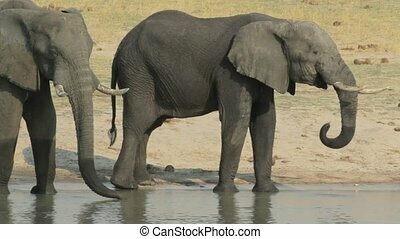 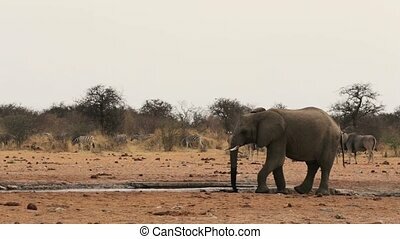 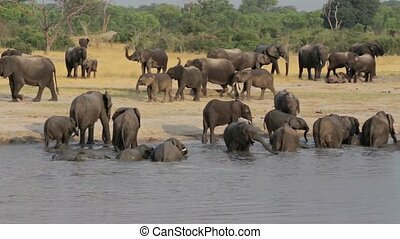 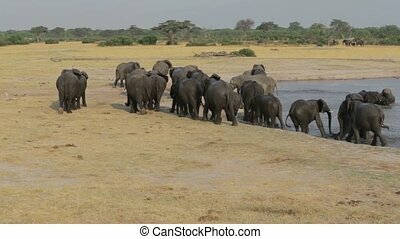 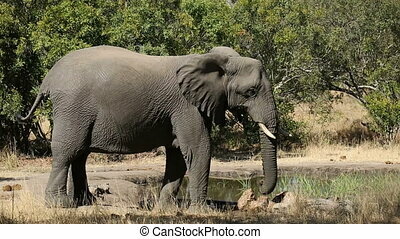 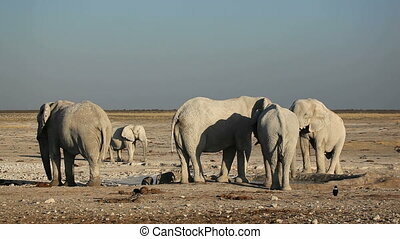 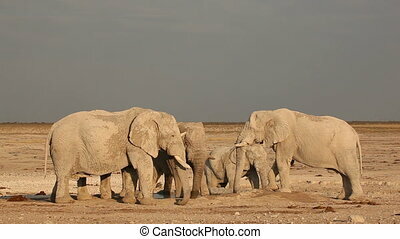 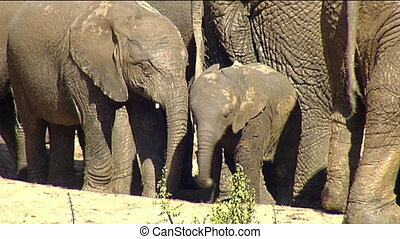 African elephant at waterhole. 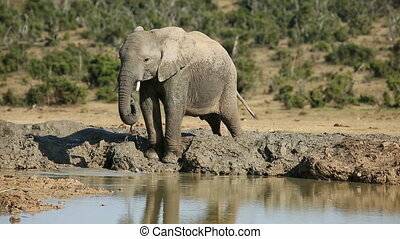 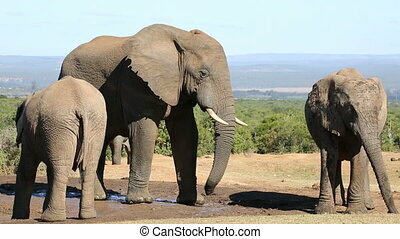 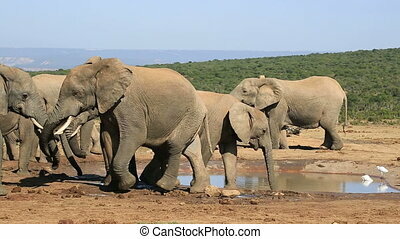 An african bull elephant (loxodonta africana) at a waterhole, addo elephant national park, south africa. 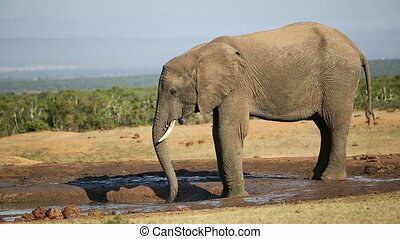 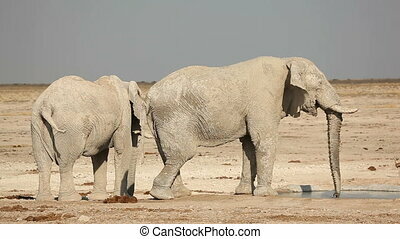 African elephant splashes himself with mud at Chobe river in Botswana, Africa. 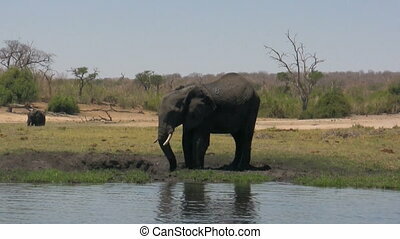 Handheld shot from water safari boat. 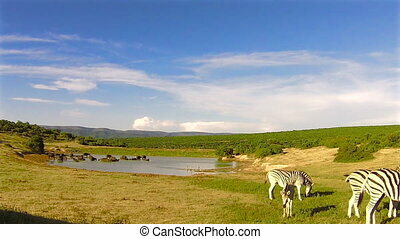 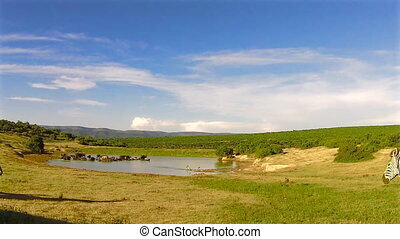 Group of zebras eating near a waterhole, Addo Elephant National Park, South Africa.